Food waste may be inevitable, but it can be significantly reduced in order to improve our carbon footprint. Approximately one-third of all food produced in the world is wasted. 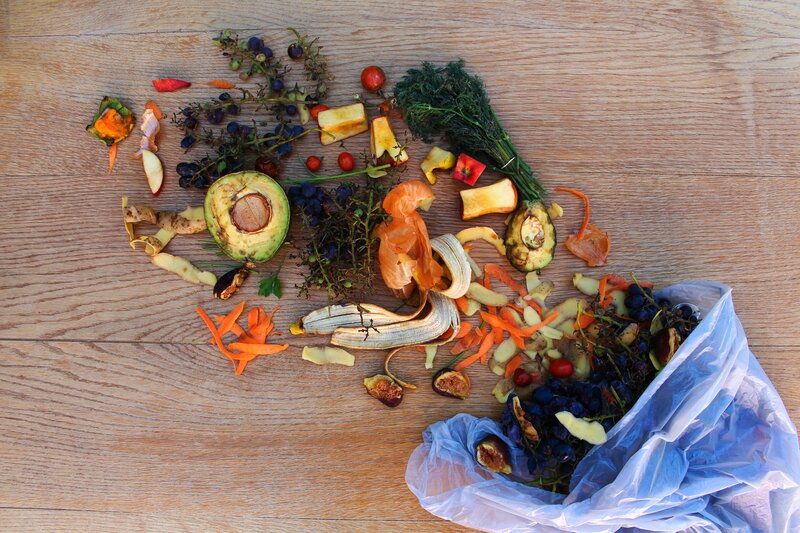 In the UK alone, we manage to waste 1.9 million tonnes of food a year! But, by changing habits, we can work towards saving our food shop bills and the environment. 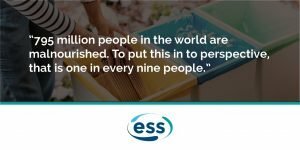 If you have any questions regarding food waste, or would like ESS to conduct a free audit of your waste disposal costs, why not contact us? Wherever food is present, waste will always occur. In the supermarket, restaurants, in our homes, at schools, on farms, in production and even in transportation. And can you believe, 250,000 tonnes of food that goes to waste annually is still edible? This level of inefficiency in the global food system has significant economic, social, and environmental impacts. 650 million meals are going in the bin, a shameful statistic knowing that so many people go hungry. This proves that we need to tackle issues concerning sell by dates, best before and over portioning. This is where DEFRA come in to play. The Department for Environment, Food & Rural Affairs play a huge role in people’s day to day lives – from the water we drink to the food we eat. They are responsible for safeguarding our natural environment in order to better our economy, through supporting our world-leading food and farming industry. Every day in our homes we throw away 4.4m potatoes, 9m bananas, 1.2m tomatoes, 7m oranges, 20m slices of bread, 5.2m glasses of milk and 2.2m slices of ham, yet 795 million people in the world are malnourished. To put this in to perspective, that is one in every nine people. So, what can we do to help reduce these statistics? Meal prep and store the food appropriately, in the freezer if it will not last in the fridge. These ideas will not only help the environment but save you money too. According to The Waste & Resources Action Programme (WRAP), preventing this food waste could save the average family £800 a year. Similarly, it is believed that the average family with children throw away seven meals a week, or £70 worth of edible food per month. This is how WRAP come in handy. They are an anti-waste campaign organisation and a registered charity which have built up comprehensive evidence over the years. Their work raises awareness and aims to reduce food and drink waste by 20% by 2025. They work with businesses, individuals and communities in order to achieve a circular economy, and to encourage us to rethink our choices such as our bio-degradable waste going to landfill. We would love to hear from you. 01342 835 123.